I wish I there was some way to have captured this better. 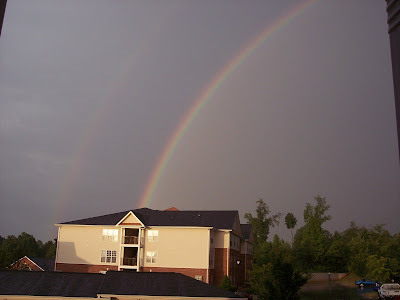 We had a full arc rainbow right over the McCompound tonight. I could see both ends. I haven't seen one of those in years. And it lasted for at least twenty minutes.